GM has sold 12,638 Escalades in the U.S. this year, a 1 percent gain over the same period last year. Pictured is the 2013 model. DETROIT -- General Motors will reveal the redesigned 2015 Cadillac Escalade SUV in October at a world premiere in New York City. 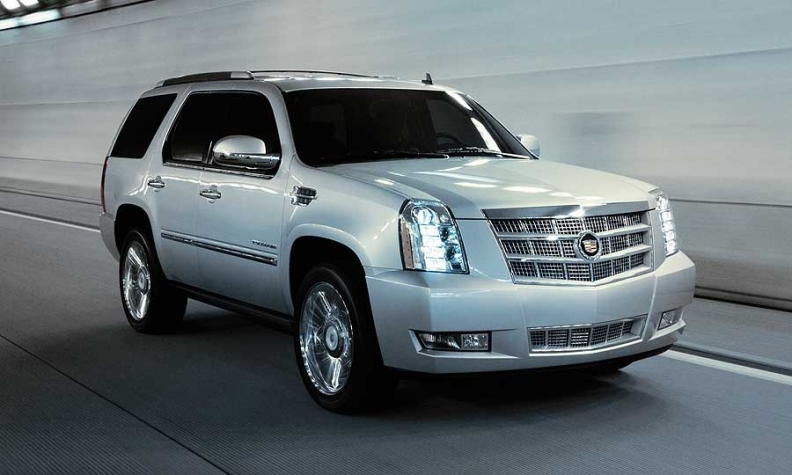 The 2015 Escalade is expected to go on sale sometime next spring. It will have been about eight years after the current version debuted as a 2007 model. The next-generation Escalade is expected to remain on a body-on-frame platform, a version of the same architecture that underpins the redesigned GM pickups that were launched in June. It’s expected to have a much improved interior, including a fold-flat third-row seat. Sources say the sticker price is likely to climb several thousand dollars from the $67,985 list price, including the destination fee, for the base 2014 model. Cadillac’s pricing has been on the rise as it rolls out more sophisticated vehicles to compete more directly with German luxury brands. The redesigned CTS sedan that debuts this fall, for example, will be priced at more than $6,000 above the outgoing model. Through July, Escalade sales in the United States were 1 percent this year, to 12,638 units, including the extended ESV model and the EXT pickup. GM won’t make the EXT model for the next generation. Overall, Cadillac's U.S. sales through July rose 30 percent compared with the same period last year -- the sharpest increase of any brand other than Porsche’s 31 percent gain. Sales of the ATS compact and XTS large sedan, both new nameplates launched last year, are driving sales growth. GM has said that it will introduce 10 new or overhauled Cadillac models by mid-2015, including the redesigned Escalade and the CTS. Other new entries likely will include a large, rear-wheel-drive sedan and a small crossover.